If you haven't already joined the streaming revolution, it's a great time to get started. Not only is there more content than ever online, but the latest streaming players make it easier than ever to find what you want to watch and play it on the big screen. Here are the best ways to watch. Almost all new TVs and Blu-ray players have smart features that let you stream from a variety of services, though what's available will vary. Current generation game consoles like the PlayStation 4 and Xbox One may not offer as many streaming options as a smart TV, but usually, support major streaming services. You can expect to get basic streaming abilities from any of these services: Netflix, Hulu, YouTube and usually Amazon Video. (iTunes fans are left out here, but more on that later.) You'll often find a few premium channels, too, like HBO or Showtime. Does your gadget have the channels you want to watch? Then you're good to go! Working with the tech you have is the easiest (and cheapest) way of getting Netflix in your living room, but it's not usually the best way. Though these gadgets work as streaming media players, none of them were designed specifically for it. Their interfaces can be clunky, and the manufacturer may not be interested in updating them as new streaming services emerge. If you upgrade to a standalone streaming media player, you can expect a better interface, more user-friendly search options and access to more streaming services. There's very little to do to set up a streaming media player — mostly you just have to plug them in — and they're affordable, starting at just $30. If you often find yourself on the sofa watching Netflix, it's worth spending a little extra on a dedicated streaming media player for the best viewing experience. Roku's streaming media players are our hands-down favorites. If you want the most content, you want Roku. You'll find more content options here than on any other streaming device — you have access to thousands of channels, including practically every major streaming service and cable network. You can check their channel guide for a full list, where you should expect to find anything you might want to watch. The only thing you won't find on Roku is iTunes content, which is only available on Apple TV. We think Roku's interface is one of the easiest to use. It uses a universal search to help you find what you want whether it's on Netflix, Hulu, or somewhere else entirely — just search Roku will tell you where to watch it. It's a feature you'll find in most streaming media players, but it particularly shines on Roku because of its vast library of content. And because no one wants to type out searches using a remote control, Roku has its own voice controls. You can search using the Roku mobile app or Roku voice remote (which is included with some Roku models). With just the tap of a button, you can ask for specific movies, actors, directors, genres or channels, or play, pause and rewind what you're watching. However, these commands only work via Roku itself or Google Assistant — you can't control it with Alexa or Siri. It's still a great player, but it may not integrate perfectly with your smart home. If you don't have a 4K television, the Roku Express offers everything you need to stream in 1080p resolution. It comes with a basic remote, but no other extras. If you're looking for something a bit more portable, the Streaming Stick (on sale for $30 on Roku.com, check price on Amazon) is a smaller 1080p streamer that plugs directly into your television's HDMI port. It's a good option if you want to move your Roku from place to place and it comes with a voice remote. The Express+ offers HD streaming for older televisions without HDMI ports. Like the Express, this model comes with a basic remote and no other extras — but it's one of the only ways to add streaming to older TVs. This is your budget option if you're looking for 4K HDR support (though Amazon's Fire TV Stick 4K is slightly cheaper at $50). An advanced wireless router also gives it better wireless performance than other Roku models, which is great if your television is some distance from your home wireless router. Though it's a price jump from the Streaming Stick+, the Ultra offers one feature that will be indispensable to certain households: you can plug headphones (included) into the remote to watch without disturbing anyone else in the household. That can be particularly handy for families, letting one person watch TV without disturbing a sleeping spouse or child. The Apple TV is the priciest player on this list, running from $150 to $200 depending on the model you want. But despite the expense, it's a good option for Apple users because it's the only streaming device that can play iTunes. If you have an iTunes library that you want to watch on your television, Apple TV is the way to do it — and beyond content, it has a bunch of features that will make help integrate it with all of your other Apple devices. It starts with the Apple TV App. Instead of splitting your shows across dozens of different channels or apps, the app pulls all of your streaming content together in a single place. It will list shows you've recently watched and suggest content you might enjoy, regardless of which service they're on. It's particularly handy when different seasons or episodes are available on different streaming services — you can see them all in the same place with the TV app. And if you install the TV app on all of your devices, you can pick up shows where you left off from anywhere. Apple TV is also the only streaming media player that supports Siri, which you can access either via the remote — which has a microphone button to access Siri — or with the remote app on your iPhone. 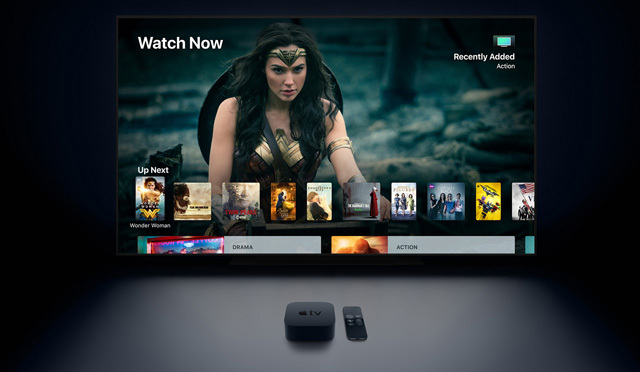 Siri powers Apple TV's universal search, so you can ask for shows and movies by name, actor, genre, date or a combination and it will bring up results from different streaming services, making it simple to find whatever you want to watch. One snag, however, is that you can't tell your Apple TV to do things from Siri on your other Apple devices — you have to use the remote app or physical remote. Still, the voice commands will be familiar to Apple users. And if you're building an Apple-based smart home, your Apple TV can also be a HomeKit Hub, linking your smart devices together so you can control them with Siri — no need to get an extra device. Another advantage for Apple users is its easy compatibility with iOS devices and access to iOS apps. Your iPhone can work as a remote without any additional software, and whenever your Apple TV brings up the keyboard, your iPhone will ask if you'd like to type on it, instead, which is great for entering passwords. On top of that, many of your iOS apps will run on Apple TV — and if you've purchased them on your iPhone or iPad, you can usually download them for free on Apple TV and enjoy them on the big screen. Games work particularly well on Apple TV, which has a touchpad remote can serve neatly as a game controller. It won't replace an actual game console but does let you get some great games (and apps) on your TV screen. The basic Apple TV supports all of the features we've listed above, but only at HD resolution. It has 32GB of storage space for your apps, which should be plenty. If you have a 4K TV, this model supports 4K HDR with Dolby Atmos sound. It's available with 32GB ($180) or 64GB ($200) of storage space to keep your apps, but unless you plan on downloading a ton of apps (particularly games), you should be fine with the 32GB model. If you want the absolute most bang for your buck, you want Amazon's Fire TV Stick 4K, which is currently the cheapest 4K streaming player at just $50. And if you have more to spend, Amazon has some unique offerings in the Fire TV Cube, which adds voice controls to your entire home entertainment center, and Fire TV Recast, which records live TV so you can stream it later — both features you won't find on any other streaming media player. All Fire TV models work with Alexa, making them convenient additions to Alexa- and Echo-powered smart homes. Most come with an Alexa voice remote that let you press a button to issue voice commands to your TV or your other smart home devices — for example, you could pull up the video feed from your Ring Video Doorbell — but you can also pair your Fire TV with your other Alexa devices, like Echo smart speakers, so you can control your TV just by saying "Alexa, watch Game of Thrones." Like the other devices we've listed, Alexa on Fire TV has a universal search that will find content no matter where it is with just a simple voice command. Everything shows up in a single, simple interface, with no need to jump from app to app. In fact, unless you pay attention, you probably won't even realize you're browsing different streaming services. That's as simple as it gets. But Amazon doesn't just let you watch content, it provides content, and the Fire TV experience will be better for Amazon Prime subscribers. Prime members get access to tons of Amazon video content — including original shows — at no extra charge. On top of that, Prime members can subscribe to additional premium channels like Starz, Showtime, HBO, CBS All Access and a lot more, some at discounted prices. That can be tremendously helpful when it comes to managing your subscriptions: if you subscribe through Amazon, you can manage all of your subscriptions in one place. One thing you'll miss on Fire TV, however, is YouTube, which doesn't have a Fire TV app. Fire TV is also the best streaming play for families, thanks to great parental controls and FreeTime, which offers unlimited access to thousands of kid-friendly apps, books, audiobooks, games, radio stations, TV shows and movies for as little as $2.99 a month. Content for kids is certainly available elsewhere, but FreeTime puts it all in one convenient place, something you won't find on competing products. This economical player offers 4K HDR quality, voice controls, and a great selection of content at a very budget-friendly price. 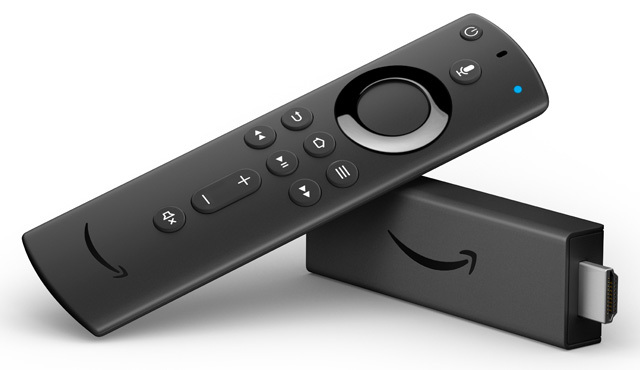 Though you can get the HD Fire TV Stick for a little less, it doesn't come with a voice remote and lacks FreeTime support, so we recommend the Fire TV Stick 4K even if you don't have a 4K TV. The Cube is a 4K HDR streaming media player and smart speaker bundled into a single device. It's essentially a Fire TV with speakers and microphones that allow you to use voice commands — for the Cube or your other connected devices — without a remote. You can also plug in other home entertainment devices, like your A/V receiver and cable box, which you'll then be able to control with Alexa. If you don't already have an Echo smart speaker, this could be the perfect player. The Recast isn't actually a streaming media player, but an accessory for your streaming media player that records live broadcast television using an HD antenna, and saves it for you to stream to your Fire TV later. If you want to keep track of live TV without a cable subscription, this is a very easy way to do it. And if you want to buy a Recast with a Fire TV — which you'll need to stream your recorded content to — you can get a Recast, Fire TV, and HD antenna bundled together for $235 (as of 11/18/2018). The Chromecast is an oddity amongst streaming media players. Instead of having its own interface, it's primarily controlled through your phone, tablet or computer — you simply "cast" content from one screen or the other. If you're looking for a traditional menu interface, this isn't it. You'll have to sort through your apps and find content on your own, without the unified interface and universal search other players offer. But despite its inconveniences, it offers a lot of flexibility to put anything on your television screen. Chromecast also supports Google Assistant, so you can control it — as well as the rest of your smartphone — with your phone or a Google Home smart speaker. That has a lot of appeal for anyone with a Google Home setup, but Roku also supports Google Home, so you can pick up similar smartphone features with a Roku player as well. But in the end, the Chromecast is a little pricier and its interface is a little less intuitive than competing Roku and Fire TV models, which makes it hard to recommend. 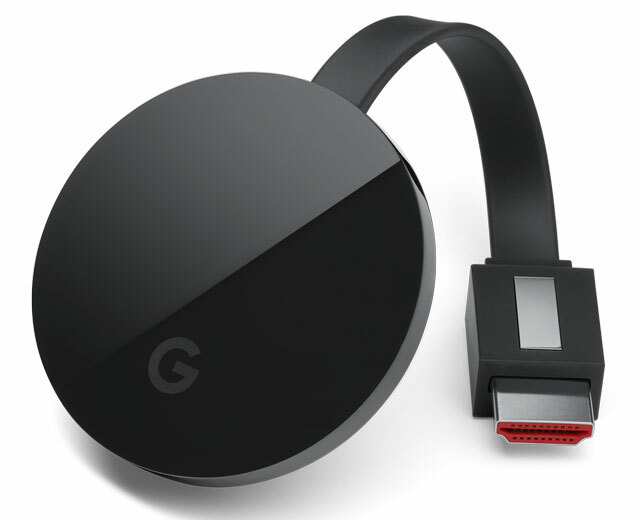 While Chromecast devices definitely have their place in a high-tech household, they're not our top recommendation for people who simply want a streaming media player. Part of your decision is going to be based on whether you use voice controls in your home. In that case, Alexa works with Fire TV, Siri works with Apple TV, and Google Assistant works with Roku and Chromecast. If you want a familiar set of voice controls, pick the system that matches what you already use. With a low price, 4K HDR support, universal search and a unified interface for all streaming content, the Fire TV is easy to afford and easy to use. While the Fire TV Stick 4K is a little cheaper, Roku still outdoes it for content at a reasonable price. The downside is limited smart home integration. If you're an Apple household, you'll appreciate the Apple TV's integration with your iOS devices and HomeKit devices, despite the high cost. Pick the standard Apple TV if you don't need 4K, or the pricier Apple TV 4K if you do. Updated on 11/18/2018 with next-generation products and pricing. I’d like to sign up to stream from Feeln I do have a vizio smart tv about 5 years old now. I do have Netflix on it but want to know what I need to get other streams as I do want Feeln they have more Christian type movies on than any other. Can’t figure out how to get it as I looked at all the apps it shows and there is none for Feeln. Roku, Amazon Fire TV, Google Chromecast and Apple TV all have Feeln available. Though a membership to Feeln is required to access the content. How would I go about watching movies and shows on my tv from net flix using a blu ray player? Many Blu-ray players have built in apps. If your does, I’m sure Netflix is one of the options. If not, you can buy a new Blu-ray player or get one of the streaming devices we mention above. I want to get netflix on my tv. I have wireless internet and a smart tv but what do i need to buy so that i don’t have to use an ethernet internet cord or blu ray or xbox to hook up netflix? You can stream Netflix to your TV through your Xbox 360 with the Netflix app (here’s how: https://support.xbox.com/en-US/xbox-360/apps/netflix-setup). Your Xbox needs to be connected to Wi-Fi, so you’ll need high-speed home Internet service. It’s possible to set up your smartphone as a Wi-Fi hotspot, but you’ll burn through your mobile data in no time streaming movies (uses about 3GB per hour). Ask her cable company to provide her with an upgraded box that has Wi-Fi capability (my guess is she probably has an ancient box at home if there’s no Wi-Fi). Once she has Wi-Fi, any of the streaming sticks above will work as long as she has an HDMI port free on her TV. Some older model TVs used DVI posts, which won’t work. I bought a used laptop that let me get on-line as soon as i got it home , Had it over a Yr now but my bedroom laptop even-though it says connected asks for a Comcast User ID And Email and i don’t HAVE Comcast. Apparently SOMEONE typed their info into the used laptop to get a hot-spot and that laptops I.P. Address is always recognized by Comcast to let me on-line for free but the other laptop ? Cant. I want to get a streaming service but don’t know if ill need that info (I don’t have) to use a service. Sure , MAYBE i can get Netflix on my used laptop without a WEP key ??? but i don’t want to have to use the mouse every time i change a show / Movie. Does this make any sense to anyone ? And on a separate note is there ANY way to send my Internet from laptop 1 to #2 and still not need the Comcast info? )Will a LONG Ethernet cable allow that ? It sounds like someone didn’t do a very good job prepping their computer for sale (here’s how to do it correctly: https://www.techlicious.com/how-to/how-to-safely-get-rid-of-an-old-computer/), so you’re able to freeride on their Comcast subscription. That’s really not cool. It’s unethical, probably illegal and you could lose it at any point. You need to spring for your own Internet service and then you won’t have any issues streaming to both laptops. I have a SMART TV with built in wifi. I currently have DISH and I watch Netflix but I am thinking of getting rid of DISH and possibly going with Sling TV. How will I get to these things if I am not connected to DISH? I’m not sure I fully understand your question. You will continue to stream Netflix on your Smart TV via your Wi-Fi. Or, depending on your data plan, you could buy a streaming device and use your phone’s hotspot capabilities as the WiFi. Most mobile data plans, even the unlimited ones, cap you at around 22GB of high speed. You’ll use about 1GB per hour for standard definition video and up to 3GB per hour for HD. Clear TV is a TV antenna. When attached to your HDTV, Clear TV will help pick up channels that are broadcast in your area. Clear TV will not enable you to access Netflix. I am new to this..I have an older Sony 47 inches.i have direct tv.how do I begin to get movies on Netflix,hulu or whatever.. Does your TV have a HDMI port? If your Sony TV has an HDMI jack, then you can purchase one of the devices above and simply plug it into your HDMI port. You will then be able to stream Netflix and more. Many of the premium services requires separate membership, too, so you will need to sign up, which you can do through the device or online. If your TV is so old that it doesn’t have an HDMI port, you’re pretty much out of luck. There are adapters you can buy that will let you get content into older TVs, but they’re expensive, trouble-prone, and just not worth it. You’d be better off buying a new inexpensive TV. If this is not a problem then I say go for it. My ROKU is like having a DVR with enough capacity for more TV than I can even stomach. And thanks for the opinions about which is better/best. I would never do that kind of review as I could not afford to actually buy all of them plus the pain of setting them up. Oh, that is another plus for the ROKU. It has worked flawlessly and was a breeze to set up. On the down side, using the ear buds on the remote is a battery hog. I have cox, cable, phone, and Internet. I want to drop cox. I have a smart Samsung TV about eight years old. What do I need to do to have lots of channels for my TV and Internet service? If your TV has an HDMI input, then the streaming options above will all work. If not, then your choices are more limited, and you may be better off buying a new TV (they’re very inexpensive, now) with HDMI. To see what channels are available via streaming, read our article on cutrting the cord: https://www.techlicious.com/tip/pros-and-cons-of-cutting-the-cable-cord/. Note that you will need to subscribe to many of the channels individually if no longer have a cable subscription. You can plug your computer into your television with an HDMI cable to show anything you can play on your computer on your television. For Christmas, I am purchasing a Samsung curve TV with HD for my hardworking hubby. In purchasing this beauty, I want to make sure that it will do what I want it to do without any unintended consequences. well? Any recommendations as to providers? 3. Will I need Roku device? 4. Our prior surround sound system (14 years old-taps playing in the background), died this past summer. It was connected through our DVD player. If I purchase a wi-fi enabled Blu-Ray player and a Samsung soundbar, along with four ceiling mount speakers (our house was pre-wired when it was built), would that be a nice home theater system? 5. What is a sub-woofer and how would that enhance a home theater? Thank you for the feedback. This is, by far, the most informative tech forum that I’ve found online. I’ve been a subscriber for some time, just never had the occasion to request assistance until now. Have a fantastic day and thank you for patiently sharing your expertise! 1. Do I need to be concerned about how many GB per month that I receive/pay for, for optimum results? I understand they’ve recently changed their pricing plan so it’s no longer unlimited. This could be a real issue for you. 4K movies are around 100 gigabytes in size. That’s huge, and would quickly eat up any monthly allocation. Even 1080p HD videos are typically around 4GB to 8GB, so those will add up fast, too. Any broadband provided with bandwidth caps should be avoided, if possible. 2. How do I ensure HD viewing on the curve TV if we no longer have satellite? Samsung Smart TVs have built-in apps for streaming movies and music, so no Roku needed. However, the Roku has a great interface and we use one on our Samsung Smart TV just for that reason. A soundbar and speaker combo could offer very nice sound. However, ceiling mounted speakers aren’t ideal since most movie sounds aren’t intended to be coming from above you. Also, not all soundbars are created equal. We were big fans of the Vizio in the under $250 range (see https://www.techlicious.com/review/best-soundbar-under-250/). Whichever one you get, make sure it comes with a subwoofer - that will make a huge difference for movie soundtracks. Subwoofers provide low frequency sounds (bass) for your audio. Important for making movies soundtracks come alive with explosions, rumbling, etc. Also provides much better bass for your music than a soundbar alone. 6. Hubby works six days a week. I’ve not cut the cord on DISH previously simply because he enjoys watching NASCAR (don’t judge 😊), after working hard all week. Will he still be able to watch the races on Sunday? Not judging! It depends on what race he wants to watch and who is showing it. He may be able to pull it in over-the-air, if it’s being shown on a network channel, or he may need to stream it through an app, which likely could be done through the Smart TV features. Hope he enjoys his new TV! We have an older Panasonic TV, not smart!, but it DOES have the HTMI hook up capability. We don’t have a computer or laptop. What’s our best way to get Netflix?? All of the streaming options above will work if you have an HDMI jack on your TV. Since you don’t have a computer, Apple TV doesn’t make as much sense. I would go with Roku or the Amazon Fire TV stick (though I lean towards Roku). I have an amazon firestick and want to watch episode 2 of a show. It only gives me the episode 1 option which I have already seen. Any ideas how I can get to the later episodes? Not all shows have all seasons available, or even all shows within a season. It depends on what the creator of the series has licensed to the specific channel you’re viewing it on. For example, current season show may be available on demand through your cable provider, but not yet on Amazon Prime. I’m looking to stream to my 6 yo panasonic hd tv 1080p that is not a smart tv. I have a small wifi modem from virgin mobile that I cannot get to hook up to that modem via a chromecast ultra that I bought recently. Is there something that I need extra for the chrome cast to work? Do i buy a Roku express + ? Is there any other way ? via a new blueray player ? Can you give a little more detail? I’m not clear exactly what you’re asking. Are you saying that you’re trying to connect your Chromecast to your Wi-Fi network and it won’t connect? If so, can you provide more detail on what error message you’re having? The Chromecast shouldn’t have any problem connecting to a network as long as you have the correct login info. Also, I’m assuming the “wifi modem” from Virgin Mobile is a cellular hotspot? If so, keep in mind that streaming video requires A LOT of bandwidth. I wouldn’t recommend it unless you have an unlimited plan that also doesn’t get throttled when you hit a certain limit. I HAVE A SAMSUNG TV APPROX 5 YRS. OLD. HATE CABLE SO HAVE BEEN USING ROKU FOR OVER 2 years AND HAVE NETFLIX AND OTHER STREAMING CHANNELS. SUDDENLY, NETFLIX (ONLY) FREEZES AND I CANNOT ACCESS. HAVE GONE THRU ALL THE STANDARD “FIXES” WITH NETFLIX BUT NOTHING WORKS. SUGGESTIONS? MOST APPRECIATED. Unfortunately I am forced to find a different way to watch my favorite Roku apps. We used to be able to spend an evening streaming NetFlix or Amazon and Hulu etc. But Cox Internet is clamping down and it appears it is our streaming of movies and shows that is using up our allotted amount of data. I really would like to at least keep Netflix, but unless there is a way to watch it without using my internet, it going to have to go along with my Amazon Prime. If anyone has any ideas oh how to keep my streaming services without killing my data, it would be appreciated. My mom wants me to get her Netflix but she doesn’t have internet service or a smart tv (gets limited channels)? Unfortunately, the only way to get Netflix is via the internet. You don’t need particularly fast internet, though, for streaming HD content, so even the lowest tier of internet from her cable provider should provide plenty of bandwidth. Am I ready for installation? I think I’m almost there. I ordered the Rokuxps (2 boxes for two TV’s) and got her 100 mbps of internet from Time Warner(now Spectrum for only $19.95) she has HDMI ports on both tv’s. I have to pick up the modem and order Netflix. Am I now ready for the installation or am I missing something? Sounds like you have what you need. Any issues and you can let us know. It may be helpful for you to set up a watchlist for your mother of movies/shows you thing she may like to get her started. For people not familiar with streaming services, it can be a little overwhelming when faced with browsing through thousands of choices, many of the titles which will be unfamiliar to her. We live in a rural area, with only satellite internet available. We have Exede, and have the medium plan of 20GB/month. Are there any streaming media players that do not require very fast internet speeds, and do not use large amounts of data? However, if you want to force lower quality to save bandwidth, you can do that. too. Netflix has an “HD Toggle” setting (https://www.netflix.com/HdToggle) where you can tell Netflix to either stream at the best quality your connection will allow (Auto) or downgrade/change to: Low Quality (.3GB per hour), Medium Quality (.7GB per hour) or Best Quality (3GB per hour for HD or 7GB per hour for UHD). Other streaming services may offer similar options. I now have Netflix on my computer, buts its so old it doesn’t have a “HDMI” input space!! What do I have to do to get Netflix onto my TV (smart) ?? You can get a box that will plug into your TV if it doesn’t have apps preinstalled. What is the manufacturer and model of your TV? And, does it have an HDMI input or the older composite (yellow, red, white) jacks? Can you clarify what you have? If you have a “smart TV”, it should already have Netflix on it as one of the built-in apps. If you have a regular flatscreen (not smart), then any of the streaming devices above will work, assuming you TV has an HDMI input. If not, then things get more limited. The Roku Express+ (https://www.roku.com/products/roku-express-plus) has analog inputs that will work with older TVs. We have had Netflex on our Samsung smart tv for over a year and now we can’t get on. It says we are not connected to the internet, I have followed the instructions to connect but it says connection failed and that’s I should check to see if I need to enter a security code, what is that and what should I do next? So I understand correctly, is it your TV that says it’s not connected to the internet or Netflix? If Netflix, are other apps able to connect? We have two TV’s in our house that have Netflix and receive two Netflix bills. Is this correct billing? Are we suppose to be charged 7.99 for each TV Netflix service? How can I correct this if the billiing is incorrect? I cannot find a number to call service. It sounds like you have two basic plans with Netflix. You can cancel one of your accounts and upgrade the other to a standard plan ($10.99 per month) which will let you stream to 2 devices at one time and you’ll see your movies in HD. I have a brand new Roku Premiere and disappointed to see it does not support Amazon Prime Video. I Contacted Amazon support and they confirmed Roku is not supported. So I have to return it. 04:56 PM PST David Watson: so Roku is not supported?